Streamline the retail checkout process for your employees and customers. 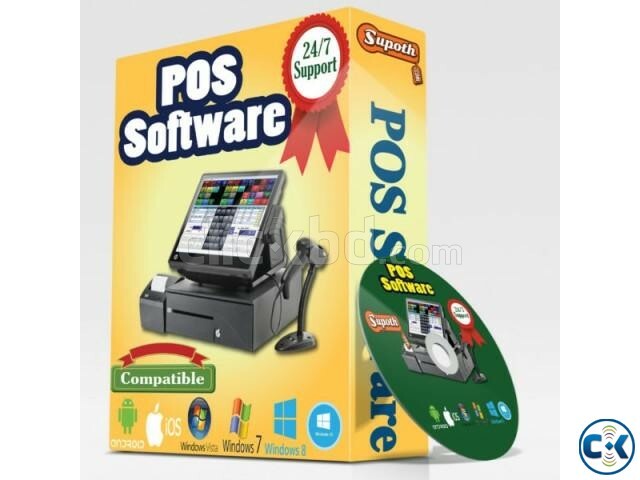 Supoth point of sale software (POS) provides businesses with a cash register system that stores product information, making the checkout process quicker and more accurate for your customers and your records. ❖ Scan Product Barcode at POS for quick sale. ❖ Works with touch screen terminals and barcode scanners eliminating the need for mouse or keyboard input. ❖ Records Sales transactions quickly and easily. ❖ Manages Discount Options at POS (Able to add Discount by Amount / Percentage at POS) ❖ Refunds and Returns. ❖ Generates and prints professional looking receipts. ❖ Reports to analyze sales by salesperson or by item. ❖ Set Different Receipt for Different Outlets. ❖ Easy to search Hold Bills from POS. ❖ Hold Bills Options to save it in Opened Bills at POS. ❖ See All Purchases List. ❖ Add Daily office Expenses. ❖ Add Employee salary Expenses. ❖ All kind of Expenses you can add. ❖ See all expenses list. ❖ See All Products List. ❖ Add New Product Easily. ❖ Print Bar-codes and Labels with product info and price. ❖ Receive Ordered Qty from Suppler and update Receive Qty. and Product Cost. ❖ Customer Sales & Due History. ❖ Add Customer without leaving POS Screen. ❖ Email Receipt to Customer. ❖ Receive Ordered Qty from Suppler and update Receive Qty. and Cost. ❖ Profit & Loss for Outlets. ❖ Supports receipt printers that use roll paper. ❖ Integrates with Inventory to maintain inventory data and quantities across all aspects of your business. ❖ Data backup/restore feature to keep data safe. ❖ Installs and ready for printing in less than a minute. ❖ Designed to be very easy to use for day-to-day operation. ❖ Print Receipts in Multiple Sizes. ❖ Dynamic & Customization option.